Earth Hour is a simple idea that quickly turned into a global phenomenon. Hundreds of millions of people around the world turn off their lights for one hour on the same night, to focus on the one thing that unites us all—our planet. 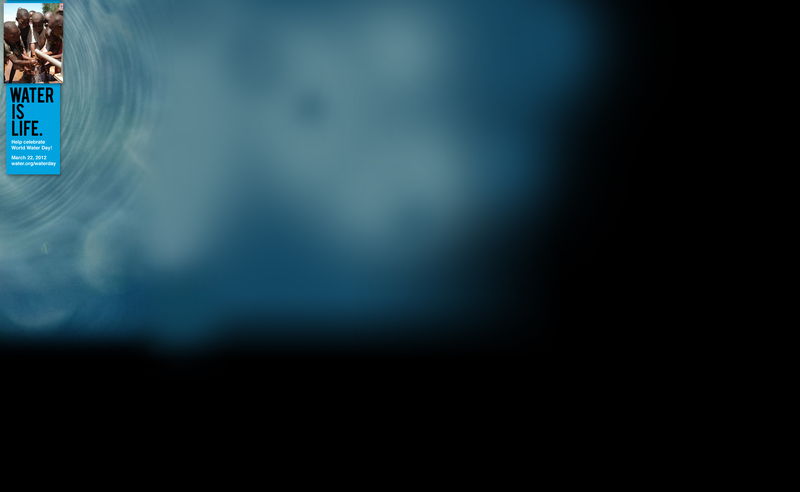 Visit the Earth Hour website, follow @EarthHour on Twitter, and turn off your lights on Saturday night! UN-Water has called upon UNESCO to lead the 2013 International Year of Water Cooperation in view of the organization’s multi-dimensional mandate in the realm of natural and social sciences, culture, education and communication, and its significant and long-standing contribution to the management of the world’s freshwater resources. You may want to check out these campaigns by Charity: Water and Water.org as well! Charity: Water is quite simply “a non-profit organization bringing clean and safe drinking water to people in developing nations” which utilizes the 100% model for charity: they donate 100% proceeds to countries and communities in need around the world. Watch this cool video they made for World Water Day in 2009 for more information and facts and figures about the world water crisis. Also, join them on Facebook and Twitter. 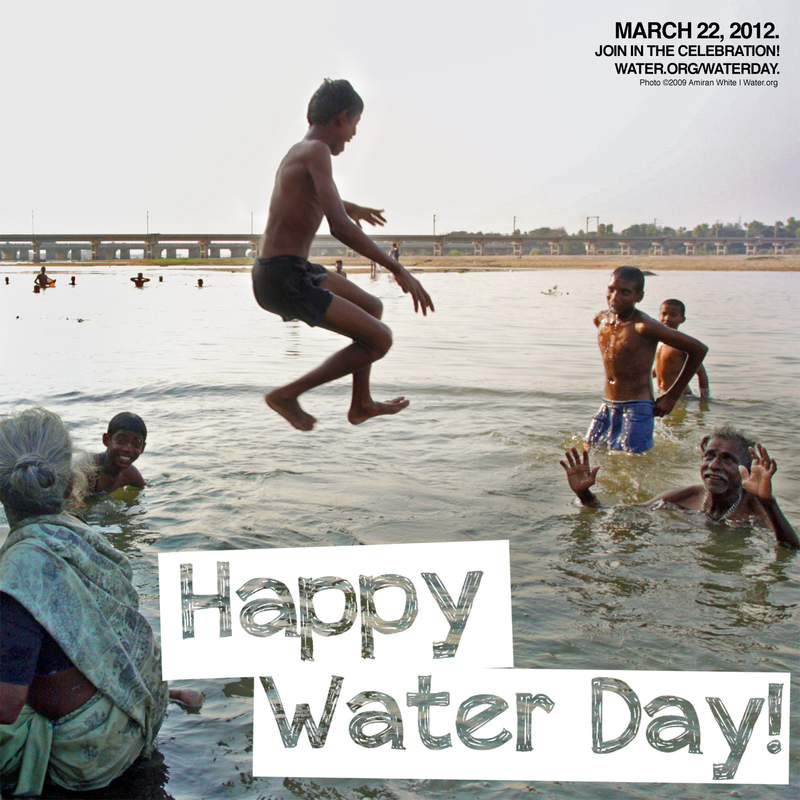 Water.org also launches a campaign in March for World Water Day. This organization is “a nonprofit organization that has transformed hundreds of communities in Africa, South Asia, and Central America by providing access to safe water and sanitation” founded by Matt Damon and Gary White. Water.org encourages a few practices to help spread the word about World Water Day and the world water crisis: donate your social media voice to the cause creates statuses on Facebook and posts on Twitter on your behalf), hashtag #waterday on Instagram, change your Facebook cover photo to this image or this image, pin this image or this image to Pinterest, change your Twitter background to this image, and sign up for the Water.org newsletter. During the week, you will be seeing my Facebook posts and tweets have been taken over by Water.org to spread the word and hopefully inspire people to donate or learn about the cause. 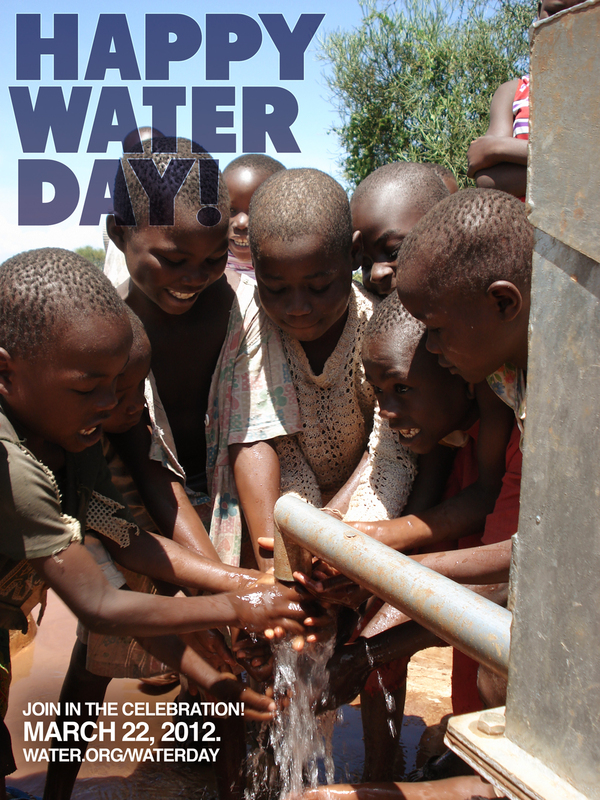 Happy World Water Day! Although I am a little bit obsessed with Olympic gymnastics and Michael Phelps, Ryan Lochte did not go unnoticed by me or the rest of the world. He is an 11 time Olympic champion in the pool, and now is taking his fame and global reach to support water projects around the world. Recently, Ryan Lochte and fellow swimmer Conor Dwyer (who picked up his first medal as Lochte’s teammate this summer in London) have partnered up with Water for People to create a public service announcement explaining the global water crisis. Check out the PSA below! Water for People is a non-profit organization which specializes in the main pillars of the global water crisis: the development of sustainable drinking water resources, education about waterborne illnesses, and the creation of sanitation facilities. Sometimes it is hard for non-profits to get the word out about their cause, even if it is in dire need of repair. Lochte and Dwyer say that it takes 4 hours for women to get water daily for their families, and also state that there are 800 million people without access to safe water. Water for People explores the strategy of getting famous people to narrate a PSA, and it is a very smart idea on their part! It is great to see Olympians, who many young people stand up to, spreading the word about these important global issues. Hopefully they can make a difference. Happy Earth Day! Every year, the citizens of the Earth take one day out of the year, April 22nd, to reflect on our beautiful Earth and what we can do to help her. If you need help getting started, there are ways to inspire you from the internet, of course. With Mother Nature Network’s Idea Lab, users can “resolve” to do something for Earth Day, and of course, share their ideas with others. This Idea Lab may push people to start something new for the spring, like planting a few vegetables in their back yard or carpooling to work a few days a week. This tool isn’t that interactive, but it does give you good ideas on how to celebrate Earth Day with a few quick and easy ideas. Along the same lines, but more interactive, is the EPA Conversations website. You can start a forum-like discussion with others about popular issues like green tips, climate change, improving air quality, chemical use reduction, cleaning up communities, protecting water, and many other great ideas. The fun thing about this conversations tool is that it gives users a way to agree and disagree with other choices presented, allowing a lot of great discussion. You can even log in to this website with your account of choice (I chose Google) and you can weigh in on the decisions easily. This is great video by the EPA that reminds us to think before we litter or use plastic. Of course, they use plastic bags to pick up the trash, but of course they will be recycling that later! Yet another way to pledge to help the environment on Earth Day is through Earth Day Network’s Billion Acts of Green. This is my favorite platform for pledging acts. You can search through people’s of green through these categories: Green Schools and Education, Advocacy, Energy, Transportation, Sustainable Development, Conservation and Biodiversity, Recycling and Waste Reduction, and Water. This movement on Earth Day Network is more about mobilizing the leaders of the world and also the communities to stand up for environmental rights and begin to turn the world around. You can view Earth Day events on this page as well. Just remember, it is important not only to pledge to change your habits, but to actually DO IT. Here is their promotional video, explaining how we need to mobilize the Earth. Of course, the most important thing about Earth Day is actually DOING THE ACT THAT YOU PROMISED TO DO. Change out those light bulbs, pay attention to what can be recycled, pick up trash off your yard, and stop using plastic bags. Carpool, re-use, reduce. It may not seem like you’re making a huge difference, but together, with the help of millions and millions of people, the Earth can turn around. It is important to explain to people as much as you can that the Earth’s resources are being stretched too thin, that someday soon, water will stop flowing out of our pipes or our food will be too contaminated to eat from pollution. These are just a few of the many things that will happen to the Earth unless we pledge to make a difference. Make a difference this Earth Day 2012, and reduce, reuse, recycle!